Do you have strong feelings about the word “irregardless”? Have you ever tried to define the word “is”? 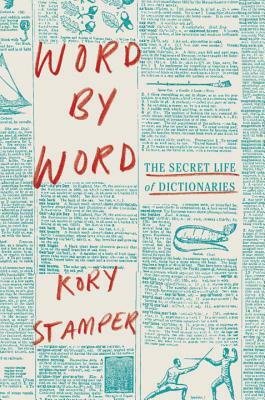 Brimming with intelligence and personality, this vastly entertaining account of how dictionaries are made is a must-read for word mavens. Word by Word brings to life the hallowed halls (and highly idiosyncratic cubicles) of Merriam-Webster, a startlingly rich world inhabited by quirky and erudite individuals who quietly shape the way we communicate. Certain to be a delight for all lovers of words, Stamper’s debut will make you laugh as much as it makes you appreciate the wonderful complexities and eccentricities of the English language. KORY STAMPER is a lexicographer at Merriam-Webster, where she also writes, edits, and appears in the “Ask the Editor” video series. She blogs regularly on language and lexicography at www.korystamper.com, and her writing has appeared in The Guardian and The New York Times, and on Slate.com.